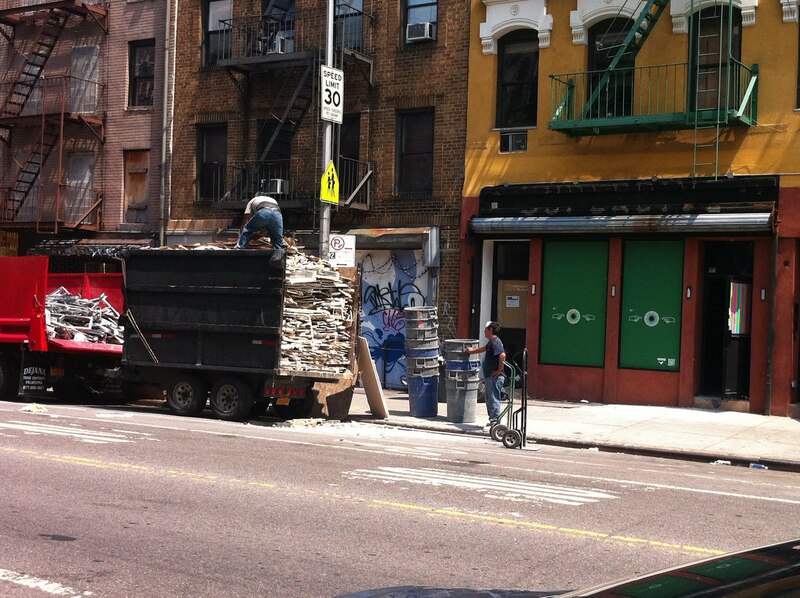 Dave on 7th notes that workers are gutting the retail space at 200 Avenue A (aka, the former Superdive) this afternoon. The pop-up art gallery left the space on July 10. After being rejected three times by the CB3/SLA committee, a group going by Hospitality LLC went to the State Liquor Authority on July 12 for a full liquor license. The group aspires to open a bar/restaurant/art gallery here. A decision on the license is expected in the next week. Or so. Oh, and the DOB does have permits on file for this work. They had the doors open yesterday and were working on the space, which was gutted. I wondered if they had permits. I see they do according to this post. I wish a useful neighborhood business would go in here. I would love a laundromat. But that's just me.